“Oh oh, we’re halfway there”! We made it! Looking in the mirror today, I think I look huge already! For me anyway, I wasn’t as big at this stage with little man. I also finally started taking Spatone today after lots of recommendations from people. I will let you know how I get on. And I discovered berry likes mint Matchmakers! Hubby and my brother have been drinking Amaretto. Now I have cravings for marzipan. I’ve also been a little emotional today , being Pregnancy & Infant Loss Awareness Day. I lit a candle for the wave of light to remember our little bean, and I did have a few tears thinking of them and all the other babies who were too beautiful for Earth. But at the same time so happy that our bean sent us another precious gift. 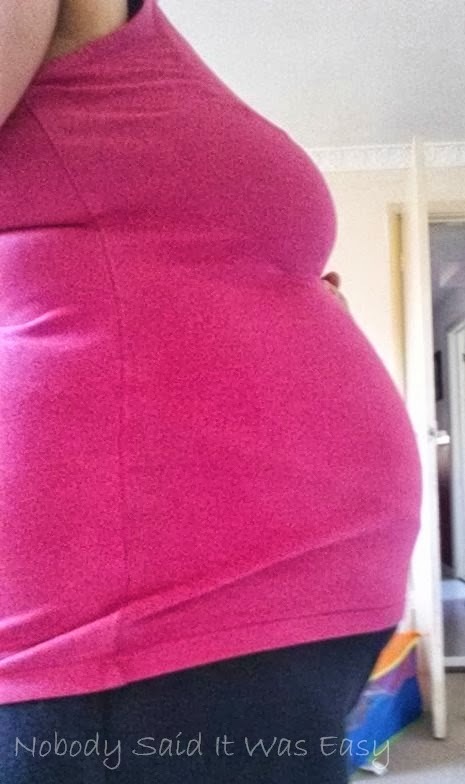 At 20 weeks, berry is the size of a banana. The skin is thickening and starting to form the epidermis, and the dermis. They are now covered in vernix. Movements are much more frequent. They are also swallowing more, getting in good practice for their digestive system. They are starting to produce meconium, ready for the first nappy!